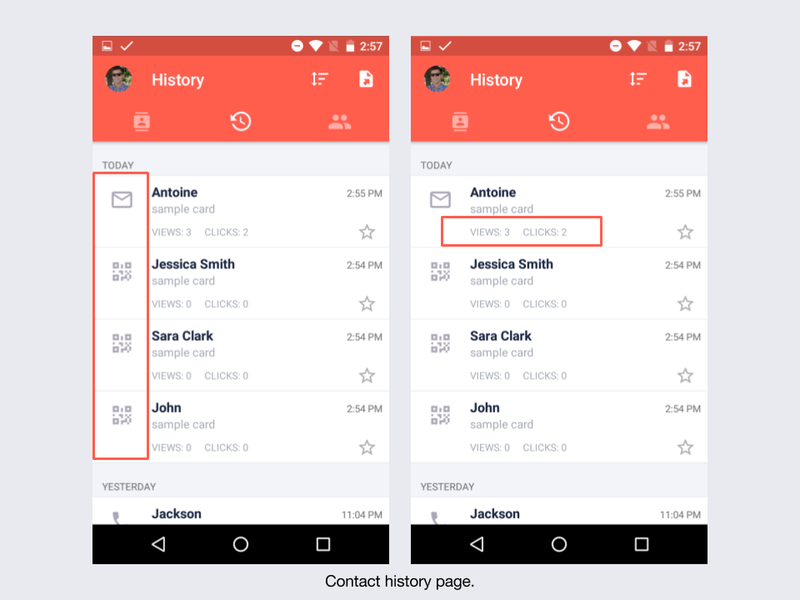 This guide will show you how to view history and analytics for individual contact entries. Inigo tracks the analytics of each card that you share. You can see these based on your different cards or individual contacts. Using analytics can tell you specifically where a contact is interacting with your card, and how frequently. When you share a card to a new contact their name will be saved in your contact history. This page is organized by date, and will only contact the information that you have given to a contact when you share the card with them. 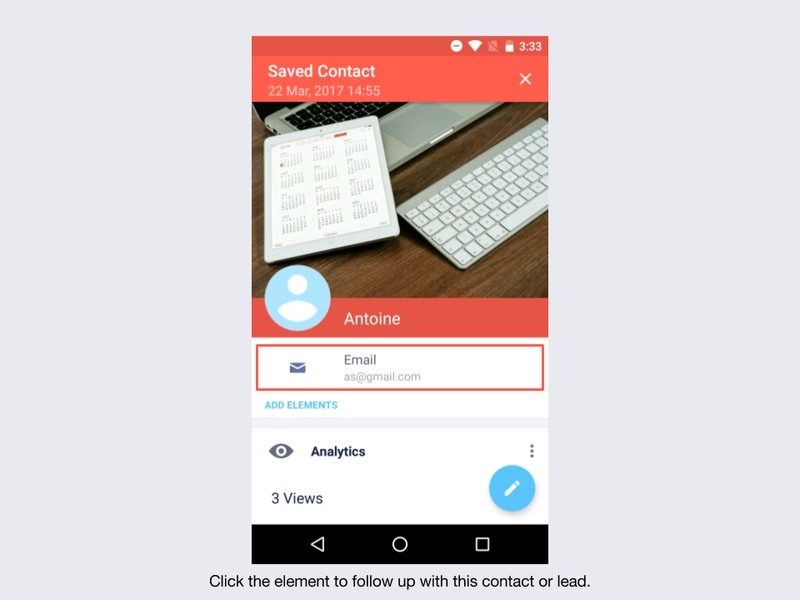 On this page, you can see the method by which you shared your card to the contact. You can also view how many times a contact has opened and clicked on an element within your card. You can also view analytics per contact by looking at their contact page. To do this, open contacts and click on the contact's card. 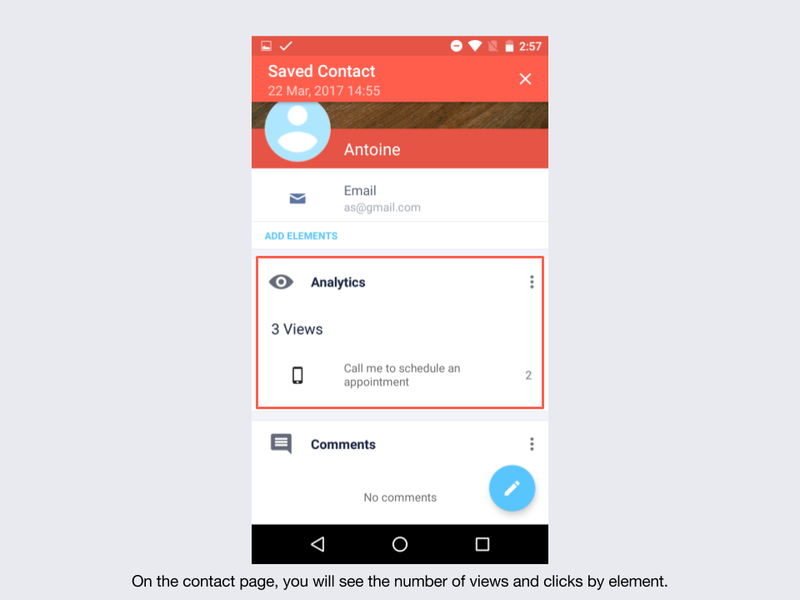 In the "analytics" section you will see the number of times the contact has viewed your card, and the number of times that they have clicked on each individual element. Using analytics can tell you how invested a lead is in your information and when to follow up. To do this, click on an element present on the contact's card. If you have not added additional elements than the method that you used to share your card will be the only option.